The latest addition to the Indian Motorcycle international lineup was announced today. 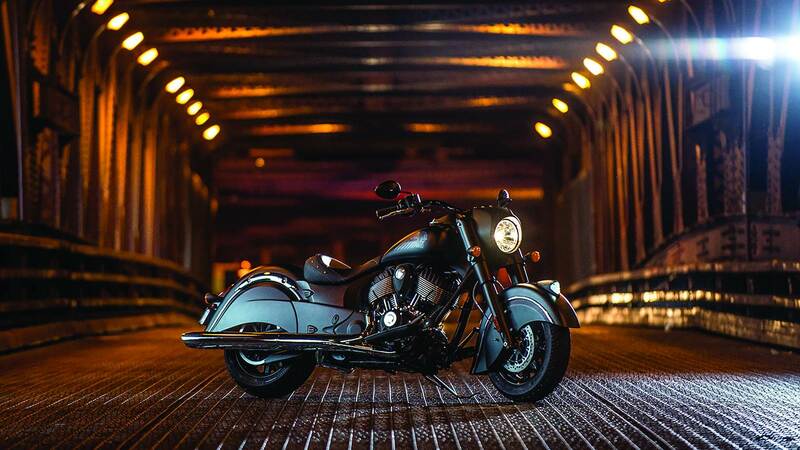 Called the Indian Chief Dark Horse this one just takes your breath away. Unlike the typical Indian Motorcycle, the Indian Chief Dark Horse takes a minimalistic approach towards the use of chrome. Add to this design style a matt black paint job and it just looks gorgeous. The engine on this new 2016 Dark Horse is the Thunder Stroke 111 engine, the same engine that does duty on the Indian Chief Classic. A very important point to note is that this Dark Horse is the lightest motorcycle in the Chief series and also the quickest. It comes with its fair share of electronics as well. The standard package includes ABS, keyless ignition and cruise control. The 2016 Dark Horse all will have a wide range of custom accessories and add-ons that include a black slip on exhaust, fender struts and blackened exhaust tips. Indian Motorcycles ever since their resurrection have been very aggressive in expansion. All the models that have come out are almost works of art. After their India launch in January last year, the first showroom opened up in Gurgaon by May. Late last year they announced the beautiful looking Indian Scout for India and that created a lot of buzz. And now the Bangalore showroom of the company is just a few days away from opening. We sure wish the 2016 Indian Chief Dark Horse comes into India soon. Update: The Indian Chief Dark Horse has been priced at Rs. 21,99,999/- ex-showroom Delhi.